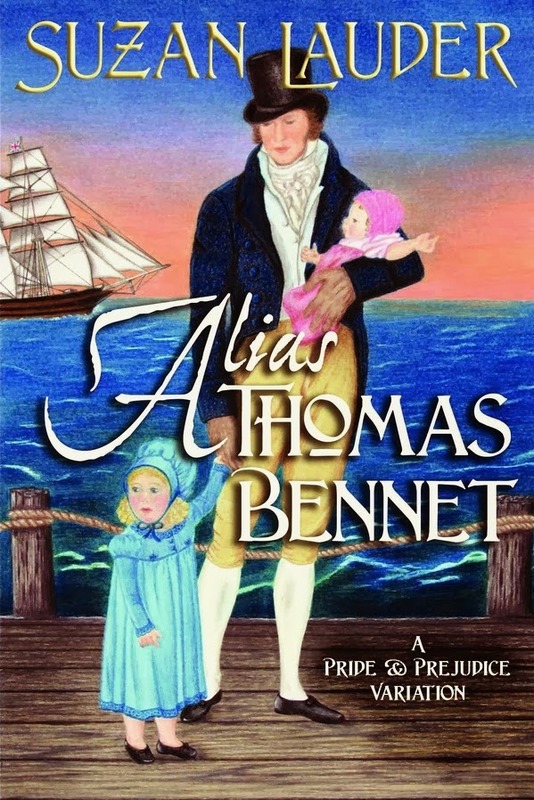 I love reading variations on Pride and Prejudice and this one has an unusual variation; rather than change something in the timeline of the original novel, this story explores how different things could have been if Mr and Mrs Bennet were different. In this tale, Mr Bennet in particular is altered. He is much more energetic and hands-on with his family. Rather than retreat to his book room and let fate take its course he has been actively involved in his family’s upbringing which has meant a huge change in the Bennet sisters, and also their mother. Mrs Bennet is far more refined and restrained, as are the girls. Lydia particularly is unrecognisable! I couldn’t help but feel that this affected Elizabeth in a less positive way though - personally I am fond of her impertinence, which she is made to tone down. Her dialogue is missing some of the sparkle for me, I felt she was a little bland at the beginning of this story. Darcy’s introduction into Hertfordshire society is also affected by this difference in Mr Bennet, who befriends the younger man after deciding to give him the benefit of the doubt over his behaviour to Lizzy rather than fan the flames of her dislike. Thus Lizzy and the Bennets don’t tell Hertfordshire of Darcy’s slight of Lizzy and he is more generally welcomed. The only person who is determined not to like him is Elizabeth, partly for the slight but more because she seems to have her nose put out of joint by him usurping her place as the ‘clever’ one. It makes her seem a little petty and immature, but she improves as the story progresses. With their improved upbringing, when the Bennet sisters meet Mr Wickham at their aunt’s house neither Lydia or Lizzy are prepared to listen to him (although I’m not sure whether Lydia would have been there, as in this version she isn’t ‘out’ in society). Both girls are disturbed by his over-familiarity and report this to their father, along with Wickham’s sob story in relation to Darcy. Once Bennet mentions Wickham to Darcy he is informed of Wickham’s character and sets about warning society in Hertfordshire, thereby making an enemy of Wickham, who gets steadily more deranged as the story progresses. Not exactly the Bennets we know! Other events follow the same pattern in Pride and Prejudice, such as Elizabeth visiting Rosings, but the visit is very different – she is on much better terms with Darcy for one, and there is also some danger lurking at Rosings and a turn of events that will affect the future of the whole Bennet family. The story has more than a dash of angst and there are some scenes which are uncomfortable to read. There was some behaviour I didn’t feel was likely, but even as I thought that often the author would explain why x was happening, it felt well thought through and reasoned even if I didn’t always think the characters would behave that way, especially people who were close to Wickham. Some of the dialogue is kept from P&P, which I thought was a nice touch, not always said by the original character, but I quite like that. I thought that this was an original idea for a variation and I’d be interested to read more books by this author. I'd rate this as 3½ out of 5. I've been interested in this book, as I seen much about it of late. Thanks for the review as reviews help me decide what order I read things. Ah! You have been found out, Ceri! So excited to see you have a blog! Woot! I thought this was a very fair review, and quite agree with you about the characterizations of the Bennet sisters - almost a little like "pictures of perfections." :) Loved reading your thoughts!